What an aptly named sweater! Mountain Khakis’ Old Faithful Sweater will be the piece of gear that you grab when you’re hiking the mountains, camping, running chores, heading out to dinner with friends, or anytime it’s nippy out there. It’s super soft, inside and out and has such a flattering fit. 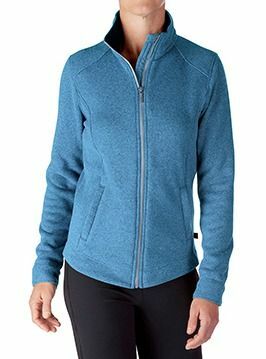 The breathable but tightly knit fabric will keep the chill out, and the 2 zippered side pockets will keep your hands toasty. There are even 2 interior stash pockets to store ID, tissues, keys, etc. This will certainly be your old faithful sweater!